With exceptional facilities for business or leisure, Hilton Sydney is superbly located right in the heart of the city, with magnificent views and convenient access to Sydney's favourite attractions , including Darling Harbour, Sydney Harbour Bridge and Bondi Beach. 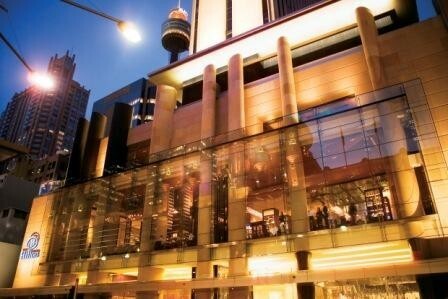 At Hilton Sydney you can choose from a range of hotel accommodation from guest rooms to spacious suites. Meet and do business in our 23 meeting and conference rooms or get active at LivingWell Premier Health Club with 25m swimming pool, full gym facilities and Day Spa. The Hilton Sydney hotel also boasts stylish bars, with dining by celebrity Chef / Restaurateur Luke Mangan at the famous glass brasserie. Or relax with a cocktail on the rooftop terrace at Zeta Bar and enjoy live music at the iconic Marble Bar.